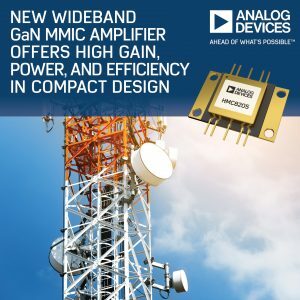 Analog Devices, Inc. has introduced a wideband gallium nitride (GaN) power amplifier that offers best-in-class performance within a compact design. Covering the 300 MHz to 6 GHz spectrum, the highly integrated HMC8205 provides significant benefits for system designers of applications such as wireless infrastructure, radar, public mobile radio, and general-purpose amplification test equipment that require pulse or continuous wave (CW) support. 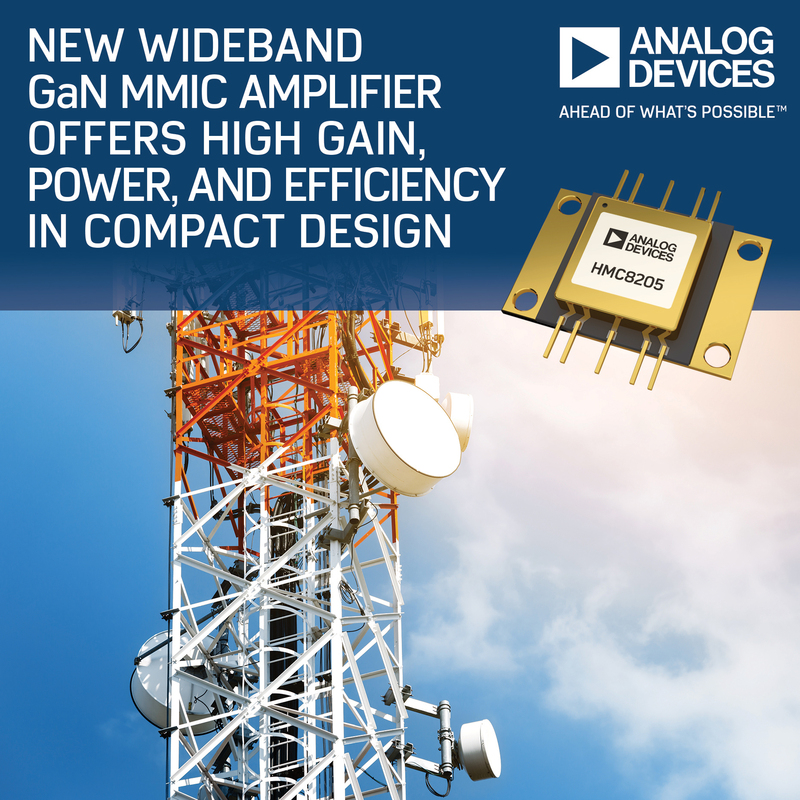 The HMC8205 GaN MMIC amplifier offers unmatched integration, gain, efficiency, and wide bandwidth in a small footprint that requires minimal external circuitry, thereby reducing overall component count and board space. 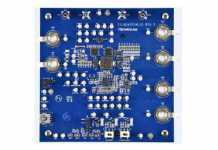 The HMC8205 combines DC feed/RF bias choke, DC blocking capacitors and driver stage on a single design, while delivering 35 Watts with up to 44 percent power added efficiency (PAE) across an instantaneous bandwidth. The HMC8205 also operates both pulse and continuous wave, unlike comparative designs.